This entry was posted in misc. and tagged reading nook. It’s beautiful! I love the floors, looks like a relaxing spot to read. thank you! I love the space in my new apartment. 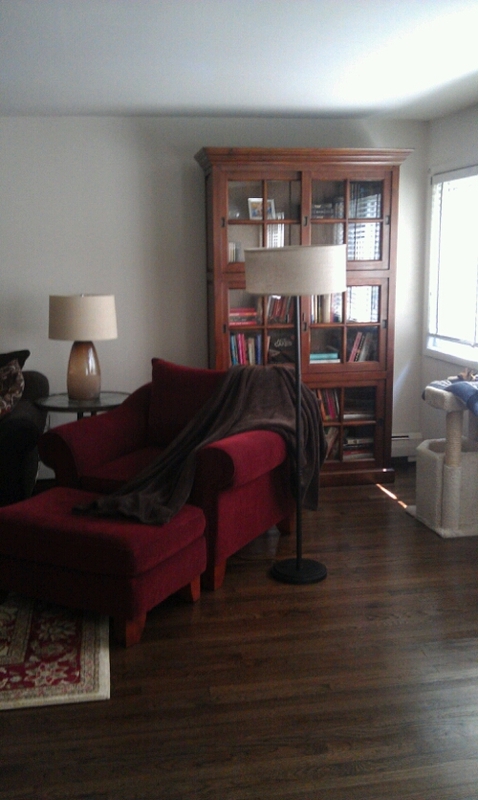 It is the first place I have lived with space for a big comfy chair for reading. I am really taking advantage of it this summer while I recuperate from my ankle surgery.